Accommodation : 4 cabins with 4 washrooms + Crew cabin with washroom, Huge forward deck, salon space, galley, upper deck and cockpit aft area. 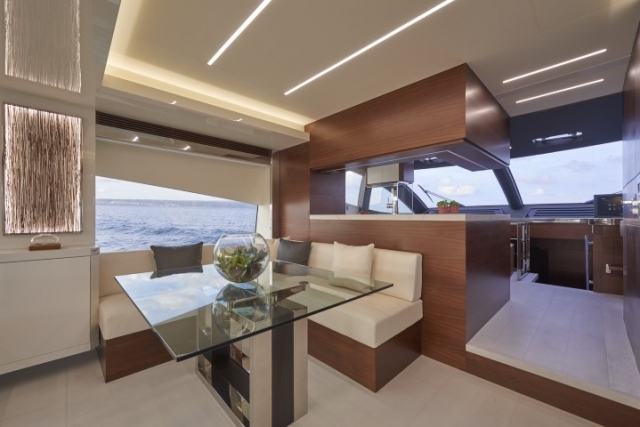 Designed with the focus on relaxation, entertainment and social experiences at sea the Astondoa 80 flybridge Motor yacht is the perfect yacht for a summer journey with the people you love to spend time with. Our specially molded fiberglass hull provides a strong lightweight structure. 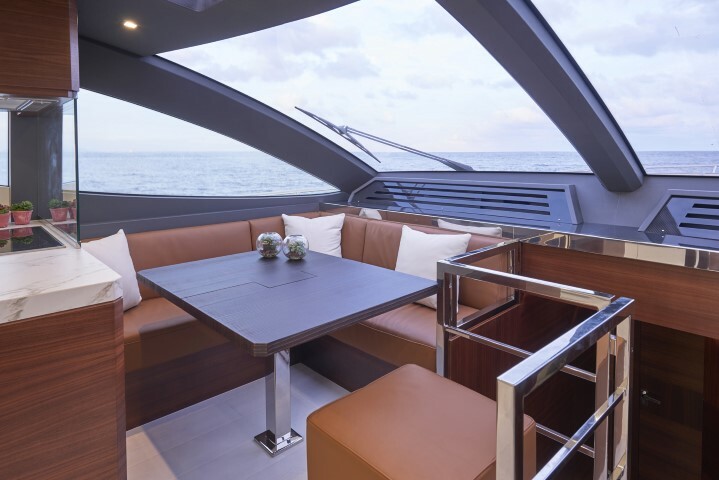 The special features include the electronic sunroof and the huge windows. 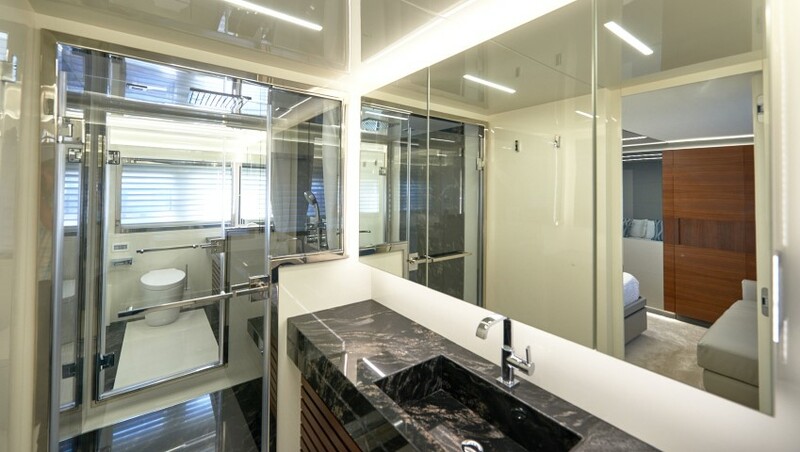 It has a large swim platform as well as a storage garage for a small boat or a jetski. 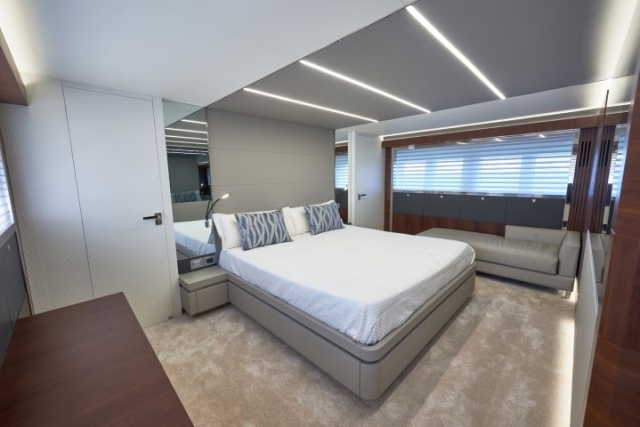 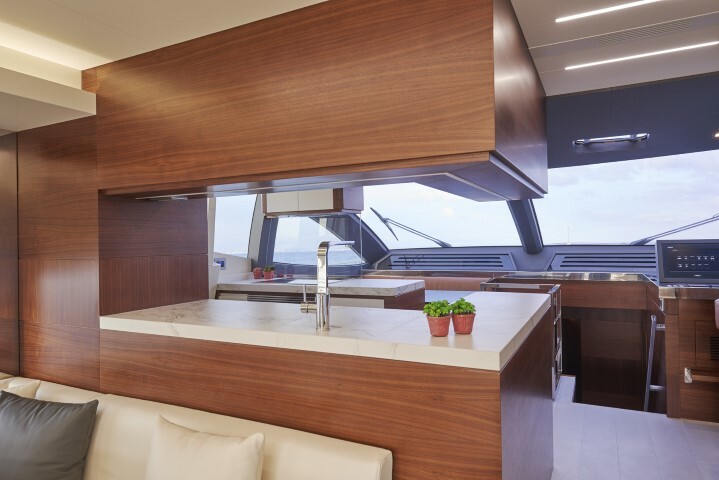 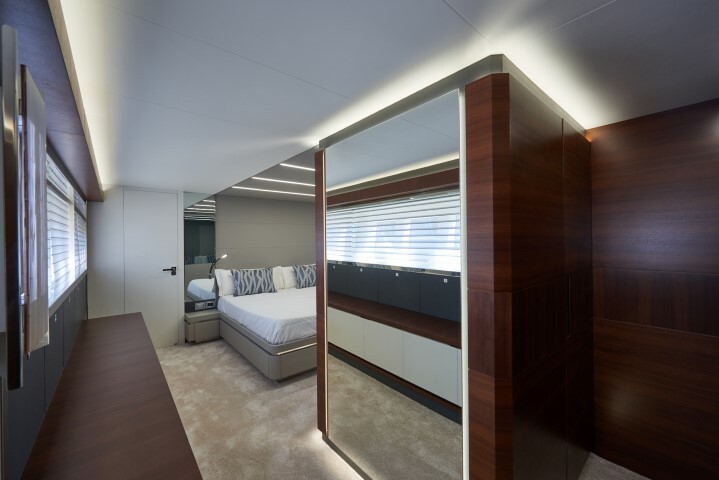 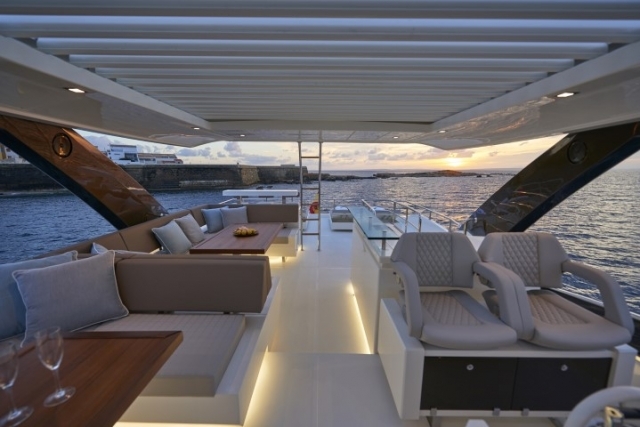 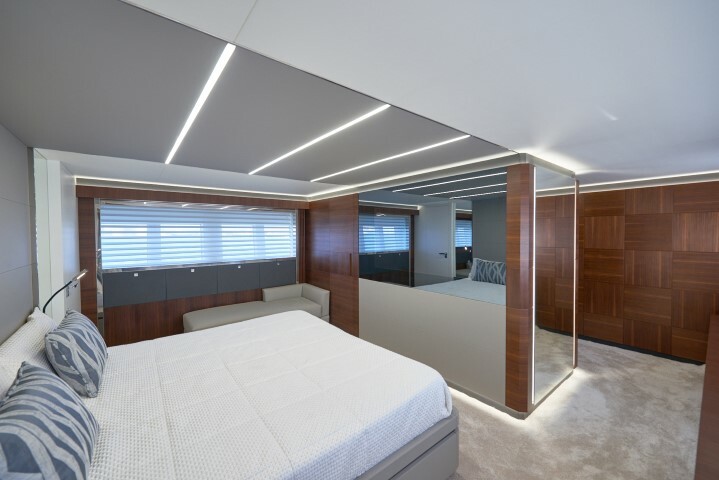 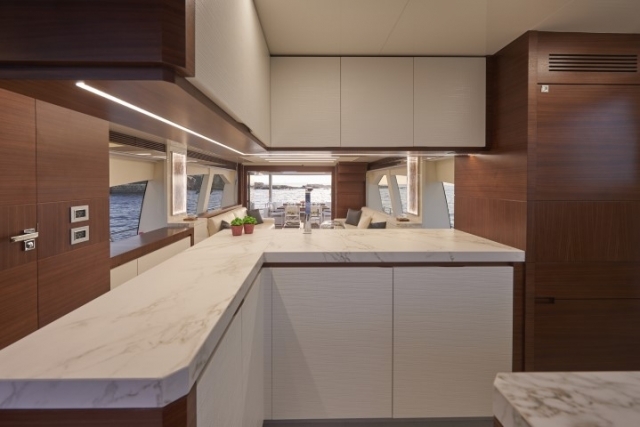 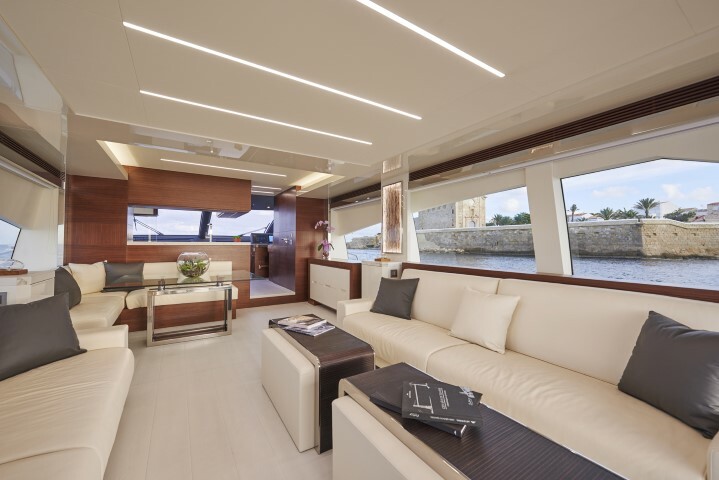 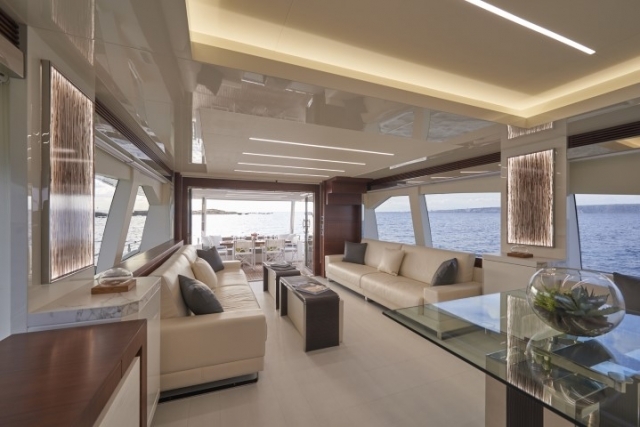 The aft deck cockpit area opens up to the saloon and front deck by unlocking the custom designed stainless steel door to create an extended deck space. 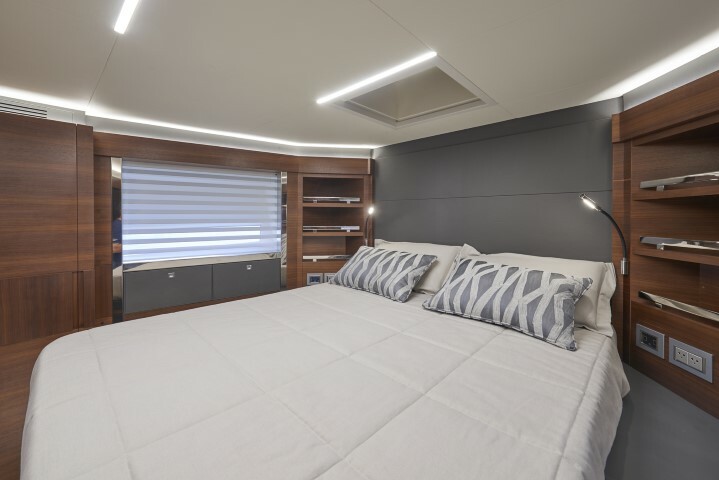 The Oak interior design is contemporary and lightweight and is designed to de-clutter your mind and get a feeling of relief and relaxation, the interior perfectly combines a color palette ranging from white to taupe with the leather sofas and buffed stainless steel elements. 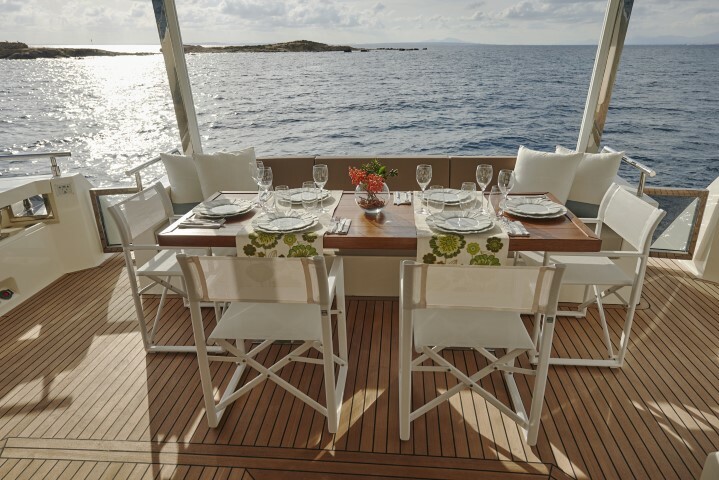 The spacious dining room seats eight people and leaves ample space for people to move around and be served, and the large windows create a bright atmosphere and offer open views. The Astondoa 80 flybridge is also be custom built according to the requirement of the client, put together with the experienced engineers and celebrated naval architect the final product have always been a delighted customer. 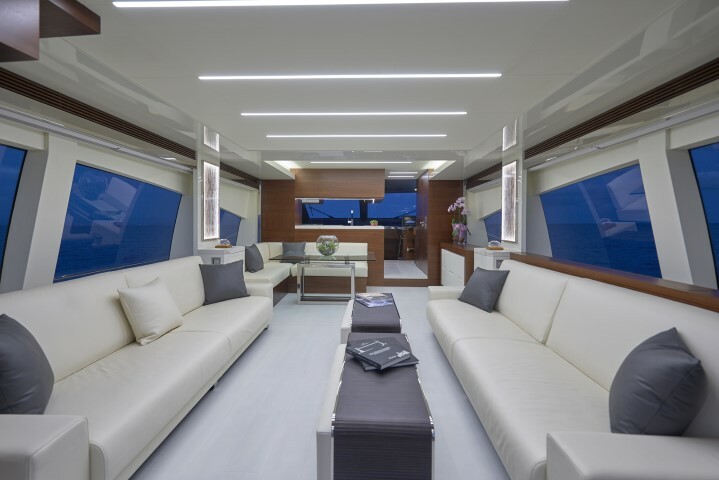 Astondoa’s record of over 100 years of successful boat building suggests that the shipyard knows a thing or two about boat building.